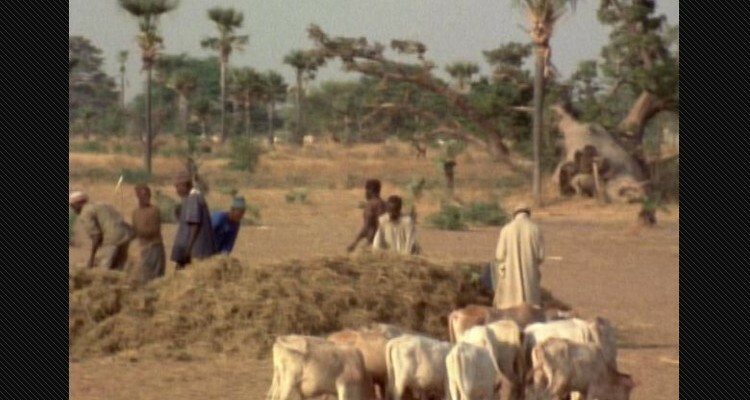 In this documentary-style film, Safi Faye returns to her home village to depict the complex social and cultural factors that make up her village’s rich history, including the cycle of birth and death, important historical moments, and the importance of history and oral tradition in Senegalese rural society. She tracks the famine that her community survived, their abandonment of their land, and final return. She then shows how changes such as farmer migration and new governmental policies have altered traditional Senegalese rural traditions. Petty, Sheila. "Black African Feminist Film-making?." African Experiences of Cinema. Eds. Imruh Bakari and Mbye Cham. London: British Film Institute, 1996. 185-93. Print.